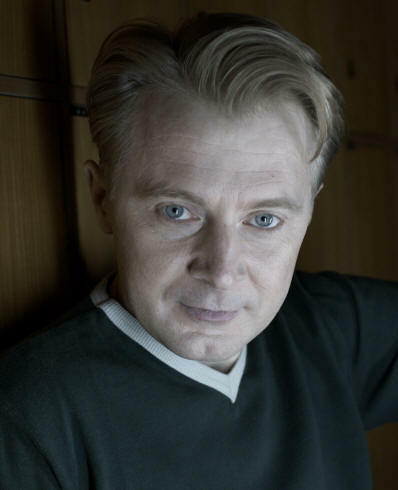 Erich Redman is a busy, successful actor who has worked extensively in international feature films. Of German-Russian descent, he was born in Russia before emigrating to Germany as a child. Since the early 90s he has been based in London, working also in Germany and throughout Europe. His film credits include Steven Spielberg's Oscar-winning film SAVING PRIVATE RYAN, U-571, CHARLOTTE GRAY, UNITED 93 and CAPTAIN AMERICA. Other directors he has worked with include Paul Greengrass, Sir Richard Attenborough, Jonathan Mostow and Joe Johnston. He has appeared on the big screen alongside Hollywood greats such as Tom Hanks, Sandra Bullock, Matt Damon, Matthew McConnaughey and Edward Norton. Versatile and keen to stretch himself, Erich Redman is as comfortable with drama as he is with comedy. Although frequently playing antagonists, he is no stranger to playing the good guy. Characters are as diverse as menacing Moldavian monarchists, mad German anaesthetists and bumbling English vicars. Please have a look at his showreel and see for yourself. Content © 2010 Erich Redman. All Rights Reserved.